Home / Uncategorized / Opinion: Peacekeeping – how do others compare to China? Here in China it’s been impossible to miss the fact that the Chinese People’s Liberation Army (PLA) is celebrating its 90th anniversary this week. 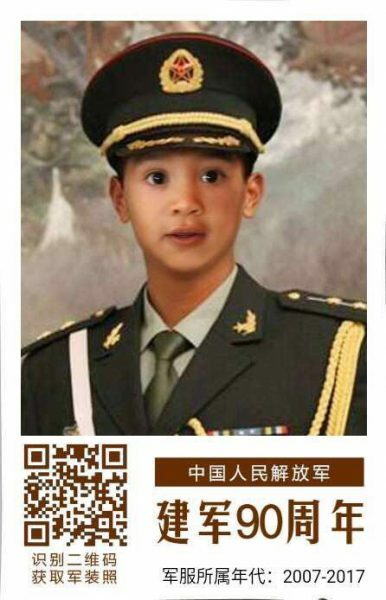 There’s been a grand parade, numerous articles about its history and new endeavors – for example PLA’s first overseas base in Djibouti in Africa -, and there is even a new selfie app that my Chinese friends are using to create photos of themselves or their kids as male and female soldiers. In amongst all the information is the contribution that the Chinese PLA is making globally – in particular to UN peacekeeping troops around the world, who do everything from removing landmines to repairing roads. The UN currently operates 16 peace-keeping forces around the world – in countries such as Mali, Haiti, the Democratic Republic of the Congo, Cyprus, Lebanon, Sudan and South Sudan. China contributes significantly to these efforts, and two particular ways are notable. First, China offers men and women to the forces abroad. At the latest count 2,515 Chinese troops, police and officers are in these various hotspots and China is looking to increase this number to 3,000. And in 2015, Chinese President Xi Jinping pledged to contribute a further 8,000 troops to a planned stand-by unit of the UN peacekeeping force. China is the 11th largest contributor to peacekeeping troops worldwide, and the largest within the UN’s Security Council. Second, China directly finances the UN peacekeeping budget, through a mandatory system which takes into account indicators such as the size of economy. As a result of these indicators, China has to contribute 10.29 percent to the budget. That means over 0.8 billion US dollars for the year 2016/17. China is second only to the US, who is responsible for over 28 percent of the budget. However, Chinese troops do get paid by the UN. All peacekeeper’s monthly salaries, wherever they come from, are set at 1,332 US dollars. It also means the UN effectively reimburses just over 40 million US dollars per year to China, and could end up giving back over 175 million per year when President Xi’s new pledge is met. The UN also reimburses countries for providing equipment and support services to the troops, which China also regularly does. This fact about payment explains why many poor countries contribute so many troops to the UN even if they have significantly smaller economies and populations than China. And of course, it explains why richer countries are not as interested in contributing – they don’t need the extra money, nor the extra employment for their populations. So, for example, in 2017, the top five countries providing UN peacekeepers were Ethiopia (8,221 people), Bangladesh (7,013), India (7,676), Pakistan (7,123), and Rwanda (6,203). A recent paper by four economists looked at the motivations of poor countries even more empirically, comparing how UN Member States contribute to both UN and non-UN peacekeeping missions. They concluded that the financial benefits are the main motivation, more so than regional stability. For example, Fiji, a small island prone to climate change, has contributed more soldiers per capita to the UN than any other country since 1970. Its peacekeeper salaries amount to nearly 10 million US dollars in annual revenue, a fifth of its defense budget. So is China also in it just for the money? While the budget is attractive to the personnel, China is making a far larger financial contribution to the UN. So most likely there is something more at hand. Perhaps China’s peacekeeping troops are about extending “soft power”? Perhaps – but the direct budgetary contribution may make a bigger difference in this regard. Ensuring global and regional stability could provide another explanation – especially as Chinese businesses increase their investments and more and more Chinese people travel to the African continent. Of course, many rich countries already have significant investments abroad, however, they are not scaling up to the same degree as China at the moment. This would explain another pledge that President Xi made in 2015 to contribute 100 million US dollars specifically to the African Union’s standby force, which has been expected to begin operations since 2008 but still faces large financial constraints. Also, the fact that in 2013, China dispatched forces to Mali, and in 2014 sent combat troops to South Sudan for civilian protection, lends credibility to the stability explanation. Alternatively, or in addition, China may be motivated to get wider experience. That said, China is a vast country with a wide range of geographical features. There is little need to go abroad to experiment with different terrains. But internationalizing and seeing how other forces work, especially if China’s troops fill more senior positions, could provide very useful skills once brought back into the PLA. Just over a month ago, the UN General Assembly voted to cut 600 million US dollars from the organization’s annual peacekeeping budget. Whatever the various motivations, it’s likely that the poorest countries and China’s now 90-year old PLA will do the most to make up for this going forwards.